Getting a puncture whilst riding your bike is never a convenient or great thing to happen and can cause both hassle repairing the tube yourself or cost you by allowing someone else to do it. 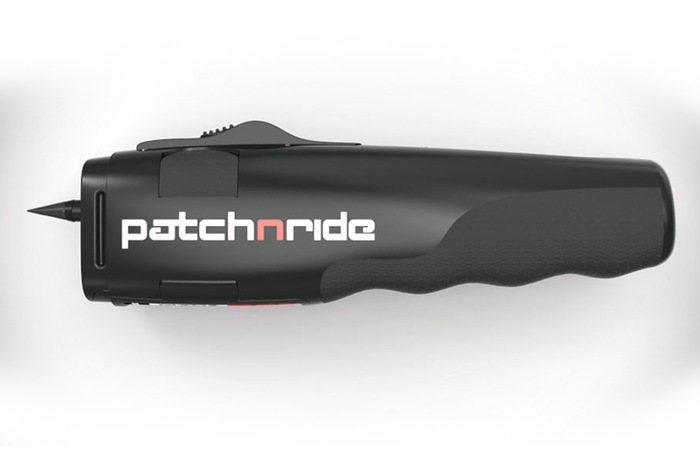 Now a new device has been created called the patchnride, which has been specifically created to make it easy and quick to repair a puncture on your bike tire without the need to remove the bike wheel. In just 60 seconds or less you can use the patchnride to permanently plugged the hole, allowing you to then re-inflate your tyre and be on your way. Watch the video below to learn more about this innovative and possibly revolutionary new way to repair punctures quickly. For more information on the new patchnride device jump over to the official website for details.